Clutches are all the fashion right now! They are perfect for carrying just those necessary items when you go out. 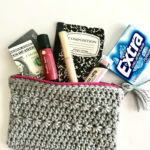 Here is a fun crochet pattern for a star-studded clutch! It’s a quick, fun project. 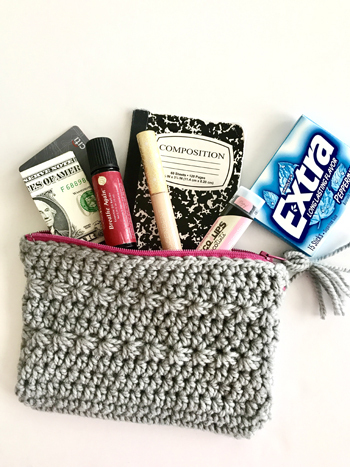 The Star Clutch crochet pattern creates a charmingly unique small zippered purse. It is perfect for caring just the necessities with you on an evening out. A simple stitch pattern is combined with the star stitch and a colorful zipper to make this small clutch perfect for those times when you don’t want to carry half the house with you. 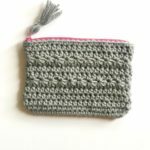 The Star Clutch crochet pattern is designed using chunky weight yarn, making for a quick project. An instructional video for the star stitch is included in the pattern. 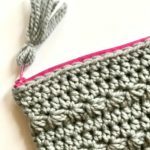 Advanced Beginner – It’s simple enough for advanced beginner crocheters, but also fun for the more seasoned crocheters as well. You’ll need a J US 10 (6.00 mm) crochet hook, 75 yards of chunky weight yarn, a 7″ zipper, and a needle and thread. The sample was crocheted with O-Wool’s Chunky merino in Basalt. 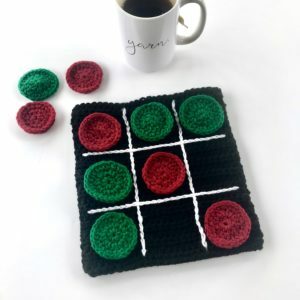 This pattern is available for download as soon as you purchase it. Please check your email (including junk folder) for an email with a download link. Your patterns are always accessible on your Little Monkeys Design account. 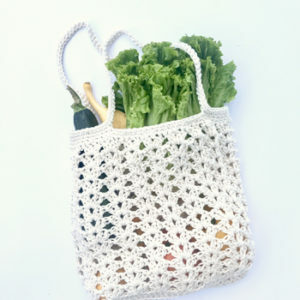 I’m here by email if you have any questions as you work on your crochet project. Please do NOT copy, sell, or redistribute this pattern in any way. 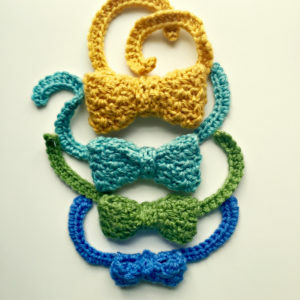 You are welcome to crochet as many gift items from this pattern as you would like.